The Anjanabonoina pegmatites are famous for their large and multicolored tourmalines. Located 42 km WSW of the town of Betafo in the central highland of Madagascar. These pegmatite dikes outcrop at a hill (with an elevation of about 1,400 meters) 2,5 km east of Mount Ikaka and are emplaced in a complex environment characterized by paragneiss, marble, and orthogneiss of the Neoproterozoic Itremo Group, of medium metamorphic grade. 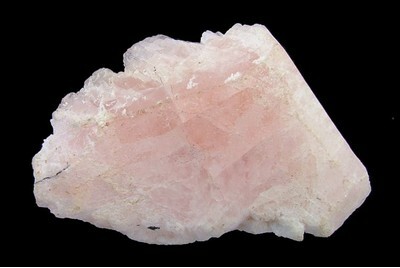 The subhorizontal bodies of pegmatite are strongly zoned. The metasedimentary rocks hosting the pegmatitic dikes locally show extensive contact-metasomatic phenomena. 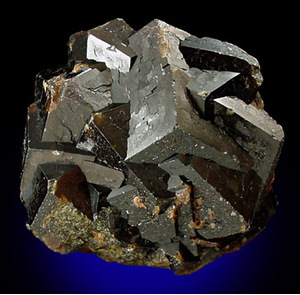 Abundant tourmalization extensively affected schist and quartzite units, with schorl-dravite replacing up to 30% of the rock volume. Veins of quartz, dravite-schorl, and danburite are locally present in metasedimentary rocks close to the pegmatites, and marble is transformed into skarn (De Vito et al. 2006). - Locality mispelled as "Anjanabonsana" in Lacroix (1909). Description: Occurs in large plates. Reference: De Vito et al (2006): Nb-Ti-Ta oxides in the gem-mineralized and "hybrid" Anjanabonoina granitic pegmatite, central Madagascar: A record of magmatic and postmagmatic events. Canadian Mineralogist. 44: 87-103.; De Vito, C., Pezzotta, F., Ferrini, V., and Aurisicchio, C. (2006): Nb-Ti-Ta oxides in the gem-mineralized and "hybrid" Anjanabonoina granitic pegmatite, central Madagascar: A record of magmatic and postmagmatic events. 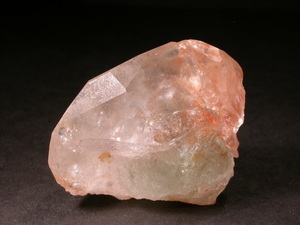 Canadian Mineralogist 44, 87-103. Reference: De Vito et al (2006): Nb-Ti-Ta oxides in the gem-mineralized and "hybrid" Anjanabonoina granitic pegmatite, central Madagascar: A record of magmatic and postmagmatic events. Canadian Mineralogist. 44: 87-103. Description: First described from Anjanabonoina by Lacroix (1909). Reference: De Vito, C., Pezzotta, F., Ferrini, V., and Aurisicchio, C. (2006): Nb-Ti-Ta oxides in the gem-mineralized and "hybrid" Anjanabonoina granitic pegmatite, central Madagascar: A record of magmatic and postmagmatic events. 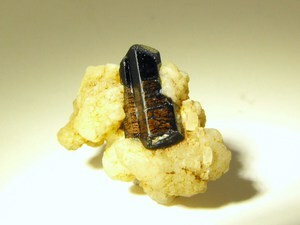 Canadian Mineralogist 44, 87-103. Description: Wilson (1984) mentions a find of a pocket with danburite and phenakite. 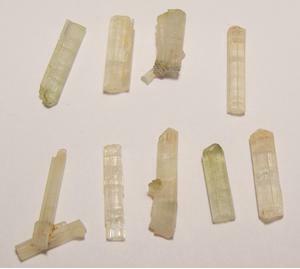 About 50 crystals of clear, colorless, prismatic phenakite from 5mm wide and, 15 cm long to 2,5 cm wide and 8 cm long were mined. Betafite (of Hogarth 1977), etc. Lacroix, A. 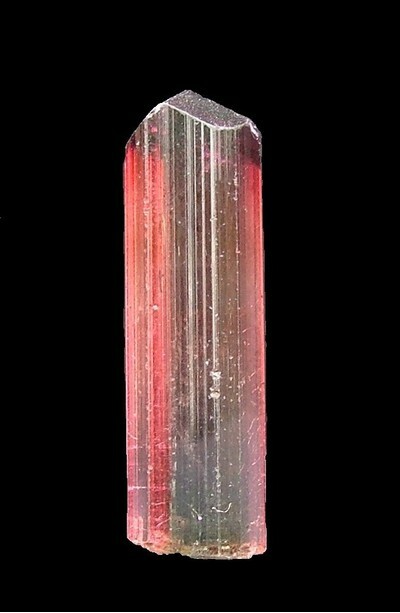 (1908) Les minéraux des filons de pegmatite à tourmaline lithique de Madagascar. Bulletin de la Société Francaise de Minéralogie 31: 218- 247 [with notes on tourmaline from Anjanabonoina]. Lacroix, A. (1909) Sur la hambergite de Madagascar. Bulletin de la Société française de Minéralogie, Paris, 32: 320-324. Lacroix, A. (1922-23) Minéralogie de Madagascar. Tome I-III, A. Challamel (Éditeur), Paris. Behier, J. (1963) Carte minéralogique de Madagascar. Archive Service Géologique Madagascar. A 1871. Switzer, G., Clarke Jr, R.S, Sinkankas, J., and Worthing, H.W. 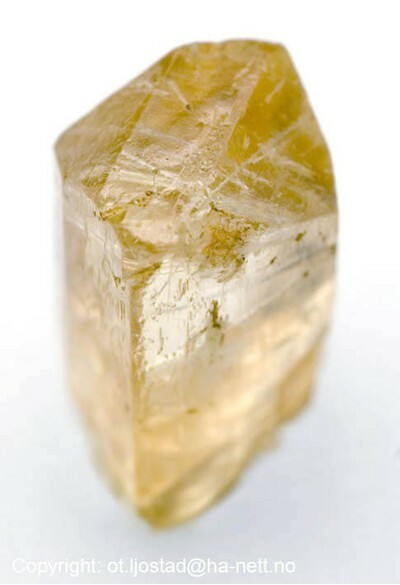 (1965) Fluorine in hambergite. American Mineralogist 50: 85-95 [with analysis on hambergite from Anjanabonoina]. Bancroft, P. (xxxx) Gem & Crystal Treasures. Published by Western Enterprises/Mineralogical Record, 488p. [On Anjanabononia : p. 322-325]. Strunz, H. (1979) Anjanabonoina, Fundort schönster Tourmaline. Lapis 4: 24-27, 47-48. Wilson, W.E. (1984) What's new in Minerals? Munich show 1983. 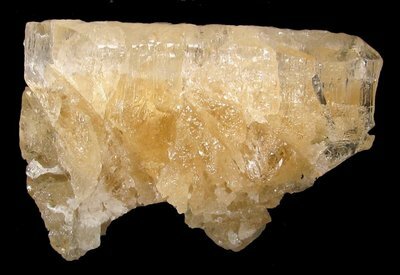 Mineralogical Record 15: 118 [on a find of phenakite]. Wilson, W.E. 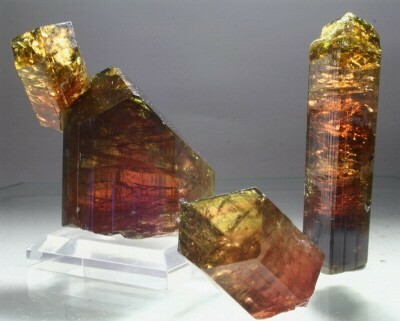 (1989) The Anjanabonoina pegmatite, Madagascar. Mineralogical Record 20: 191-200. Pezzotta, F. (1999) Madagaskar - Das Paradies der Mineralien und Edelsteine. Extra Lapis 17: 56-59 (German version). 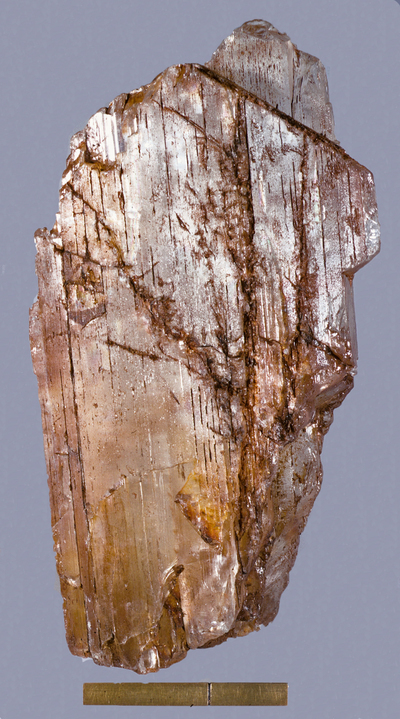 De Vito, C., Aurisicchio, C., Ferrini, V., and Pezzotta, F. (2002) Nb-Ta oxides from Anjanabonoina pegmatite. International Mineralogical Association 18th General Meeting (Edinburgh), Program Abstract: 275. De Vito, C., Aurisicchio, C., Ferrini, V., and Pezzotta, F. (2002) Chemical composition and B, O and H isotopes of tourmaline from Anjanabonoina pegmatite. International Mineralogical Association, 18th General Meeting (Edinburgh), Program Abstract: 208. Dini, A., Tonarini, S., Pezzotta, F., and De Vito, C. (2002) Boron isotopes study of borates and boro-silicates from Anjanabonoina and Tetezantsio pegmatites (central Madagascar). International Mineralogical Association, 18th General Meeting (Edinburgh), Program Abstract: 210. Dirlam, D.M., Laurs, B.M., Pezzotta, F., and Simmons, W.B. 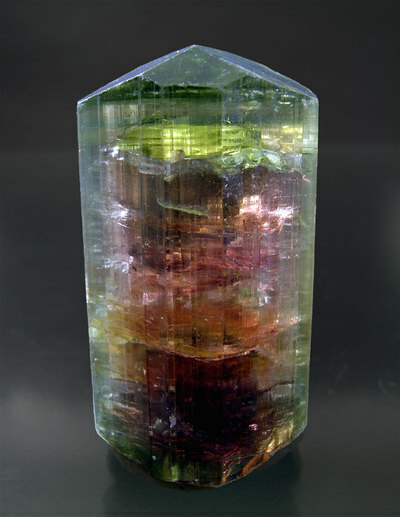 (2002) Liddicoatite tourmaline from Anjanabonoina, Madagascar. Gems and Gemology 38: 28-52. De Vito, C., Pezzotta, F., Ferrini, V., and Aurisicchio, C. (2006) Nb-Ti-Ta oxides in the gem-mineralized and "hybrid" Anjanabonoina granitic pegmatite, central Madagascar: A record of magmatic and postmagmatic events. Canadian Mineralogist 44: 87-103. Ertl, A., Hughes, J.M., Prowatke, S., Ludwig, T., Prasad, P.S.R., Brandstätter, F., Körner, W., Schuster, R., Pertlik, F. and Marschall, H. (2006) Tetrahedrally coordinated boron in tourmalines from the liddicoatite-elbaite series from Madagascar: Structure, chemistry, and infrared spectroscopic studies. 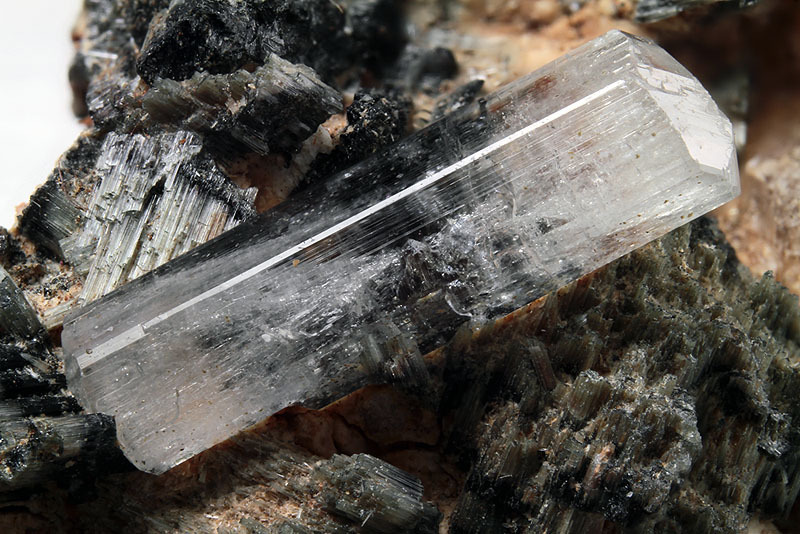 American Mineralogist 91: 1847-1856 [both F-dominant]. 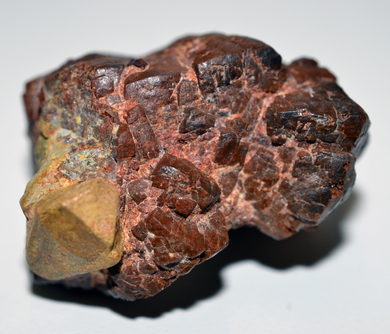 Lussier, A.J., Abdu, Y., Hawthorne, F.C., Michaelis, V.K., Aguiar, P.M., and Kroeker, S. (2011) Oscillatory zoned liddicoatite from Anjanabonoina, central Madagascar. I. Crystal chemistry and structure by SREF and 11B and 27Al MAS NMR spectroscopy. Canadian Mineralogist 49: 63-88. [F-dominant]. Lussier, A.J. 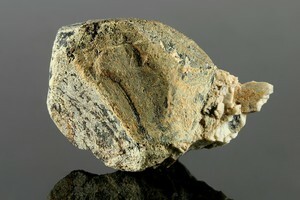 and Hawthorne, F. (2011) Oscillatory zoned liddicoatite from Anjanabonoina, central Madagascar. II. 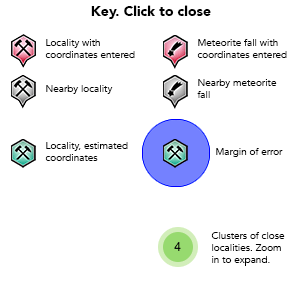 Compositional variation and mecanisms of substitution. 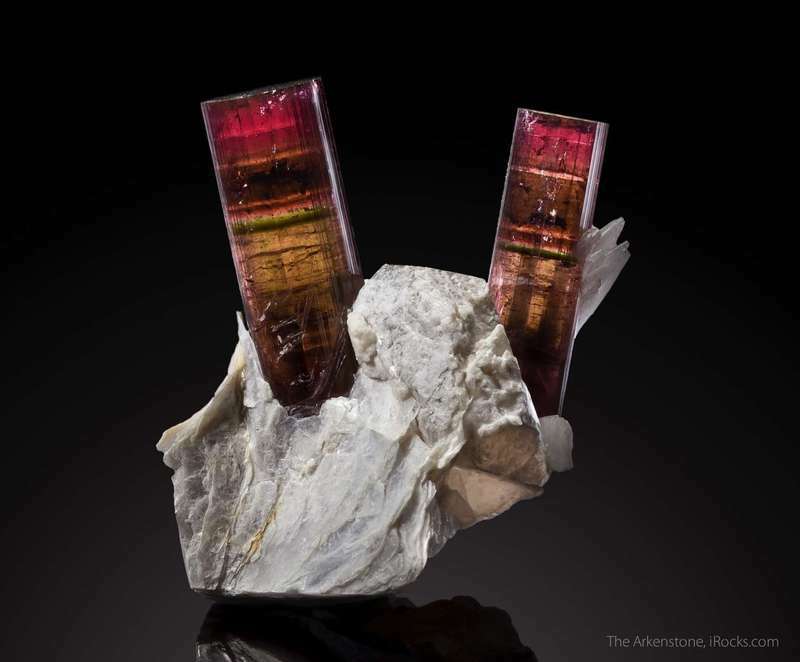 Canadian Mineralogist 49: 89-103.